This was during a walk to my apartment from the GW bridge late one night. 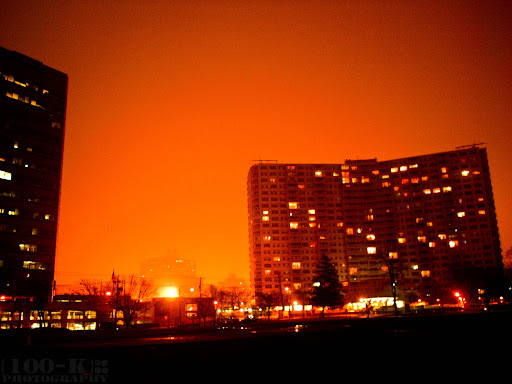 This ominous orange glow really looked like this. The color isn't edited much. The huge light source is the entrance to the bridge. A massive mecca of artificial lights glowing there every night. The thick fog makes it feel even creepier than it normally is.